If you suffer from acne, you’re not alone. Acne is the most common skin condition in the United States. 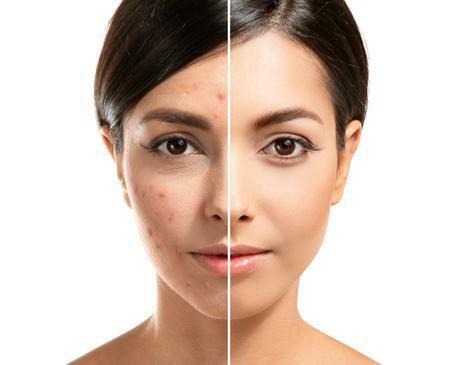 At Unique Dermatology & Wellness Center in Valrico, Florida, Dyan Harvey-Dent, DO, provides expert dermatological care for acne. Call the office or schedule an appointment online to clear up your acne for good. When a pore in your skin becomes clogged with dead skin cells, acne can occur. The natural oil (sebum) you produce then causes the dead skin cells to cling together and get trapped in the pore. Bacteria then gets inside the pore, resulting in inflammation and redness. The deeper the inflammation, the more likely an acne eruption is to appear. When should I seek acne treatment? Acne may appear on your face, neck, chest, back, upper arms, buttocks, and shoulders. If you’re bothered by the appearance of acne or if outbreaks cause swelling and severe redness, seek treatment. You may also require treatment if you suffer scarring following an outbreak. Dr. Harvey-Dent may also recommend intralesional corticosteroid injections, which are administered directly large papules or cysts. They cause the lesions to shrink and even disappear within a few hours. How do chemical peels work as an acne treatment? In some cases, Dr. Harvey-Dent recommends chemical peels to help reduce the appearance of your acne, improve the look of scarring, and reduce outbreaks. The peels accelerate the production of new skin cells by exfoliating the skin, sloughing off the older skin cells. Dr. Harvey-Dent is experienced in administering chemical peels and recommends just the right strength to give you the results you want when it comes to alleviating your acne. How does light therapy work as an acne treatment? Dr. Harvey-Dent may also recommend light therapy for your acne. Light therapy activates stem cells to relieve pain, reduce acne inflammation, and accelerate healing. The low-level laser therapy helps target acne-causing bacteria and relieve the swelling and redness associated with breakouts. If you have scarring due to acne, IPL (intense pulsed light) uses multiple wavelengths of light to rejuvenate the skin and smooth its tone and texture. Dr. Harvey-Dent evaluates your acne and scarring to help you get the best treatment possible. Dr. Harvey-Dent provides the most comprehensive and compassionate care in acne treatment. Call the office or book a consultation online.